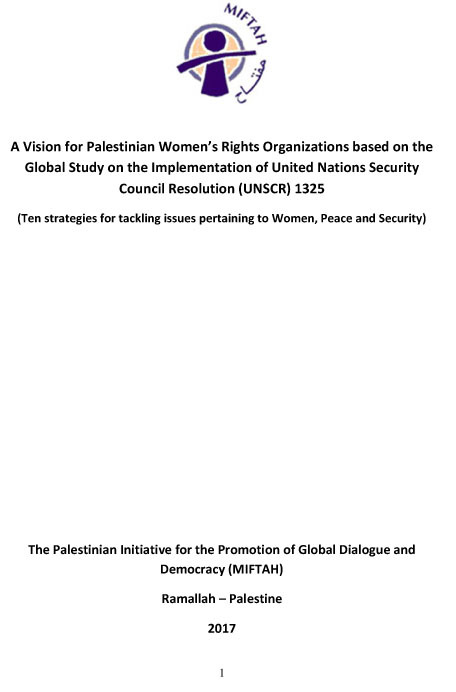 This document presents the program of the 13th government of the Palestinian National Authority. The program, which sets out our national goals and government policies, centers around the objective of building strong state institutions capable of providing, equitably and effectively, for the needs of our citizens, despite the occupation. We believe that full commitment to this state-building endeavor will advance our highest national priority of ending the occupation, thereby enabling us to live in freedom and dignity in a country of our own. It is time for our people to obtain their unconditional freedom and national rights as required by international law. This calls for positive and proactive steps, both nationally and internationally, in order to end the occupation and reach a just and lasting political settlement in our region. For our part, we have to dedicate ourselves to the task of state-building. This will be critical to our success. In parallel, we have to be fully engaged with the international community, and we should work to secure the full backing of our Arab brethren and the political and economic support of our friends around the world. The establishment of an independent, sovereign, and viable Palestinian state is fundamental for peace, security and stability in our region. Whereas Israeli settlement policies and activities continue to undermine the viability of the two- state solution, our government is determined to preserve and advance this solution concept through our full commitment to the Palestine Liberation Organization (PLO) program. We call on our people to unite behind this program and the government’s vision to transform it into a reality. This is the path to freedom. This is the path to the creation of the independent state of Palestine on the Palestinian territory occupied in 1967, with East Jerusalem as its capital. And, yes, this can and must happen within the next two years. The work of our government will be guided by international law and the precepts of good governance, as we work to ensure the fulfillment of our commitments toward our citizens and our partners in the international community. Despite the occupation practices, which have severely hampered our progress, we have demonstrated in recent years the will and capacity to build toward statehood. This government is fully committed to building on the accomplishments of the previous governments, and it will work to further develop effective institutions of government based on the principles of good governance, accountability and transparency. The determination of our people to end the occupation and establish our independent state underpins our confidence in their support for the goals and policies outlined in this document. It is through the support of our people that we will succeed in our mission. Through their commitment to the PLO program- the program of self-determination, the right of return and the establishment of an independent state- combined with the sense of accomplishment and self-empowerment that has started to emerge as a direct consequence of the success of the national stabilization effort over the past two years, we are confident that the Palestinian people will fulfill their national aspirations, provided, of course, that we also succeed in restoring the unity of our homeland and institutions. 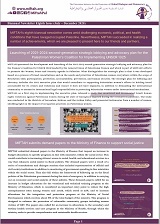 The establishment of a Palestinian state requires collective dedication to this national goal, which is shared by the various political and social organizations, academic and cultural institutions, non-government organizations, local government councils, the private sector, the land-protection and anti- settlements and anti-Wall committees, and the national organizations of women and youth. Therefore, this government’s program seeks to involve all sectors and segments of society in the national drive to develop and advance our institutions. We take fully into account that our people expect a government that provides them with security and basic services and fosters development in all spheres, while respecting their rights and liberties. We believe that building and sustaining effective institutions can only be accomplished through full partnership between the government and the citizens. The present document sets out our national goals and the priorities and activities of the PNA institutions for the next two years. Moreover, the 13th government will do everything in its power to ensure that general elections will be held on their constitutionally mandated date in January of next year, in accordance with the law and highest international standards. This is a right of all citizens, and it is a constitutional requirement that should not be overlooked. We look forward to continued regional and international support to establish Palestine as an independent, democratic, progressive, and modern Arab state, with full sovereignty over its territory in the West Bank and Gaza, on the 1967 borders, with East Jerusalem as its capital. Palestine will be a peace-loving state that rejects violence, commits to co-existence with its neighbors, and builds bridges of cooperation with the international community. It will be a symbol of peace, tolerance and prosperity in this troubled area of the world. By embodying all of these values, Palestine will be a source of pride to all of its citizens, and an anchor for stability in this region.